Can Ataklı, a columnist for Sözcü daily argued on his column on Saturday that Turkish police are no longer responding complaints of robbery amid alleged and real threats of terror activities as the post-coup government purge has led to a massive decrease in the number of police officers. “A friend of mine called and told me that police did not dare to come home even though I filed a complaint about robbery,” Ataklı wrote. “When they didn’t come, I stopped by the police station and asked why they failed to show up. They told me that they are so busy, their capacity decreased and that they focused rather on anti-terror measures,” his friend told Ataklı. 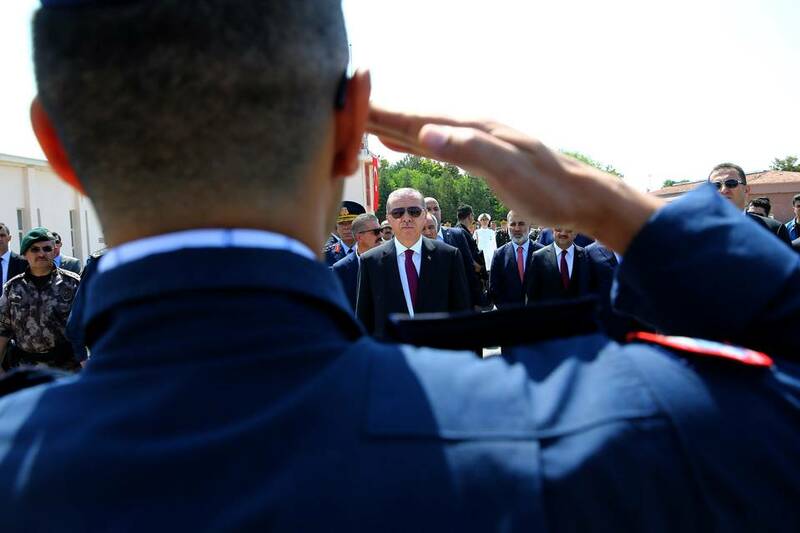 Turkish government dismissed more than 120,000 civil servants, among them police officers, teachers and academics, over alleged links to the Gülen movement, which the government accuses of organizing a coup attempt on July 15. The movement denies involvement. “[Police also told me that] They are unable to even look into complaints of robbery, brawls, noise and etc,” his friend further elaborated. While Turkey calls Gülen movement as terrorist organization and rounds up hundreds of people on terror charges, explosions or gun attacks by ISIL or PKK militants continue killing scores of civilians. An alleged ISIL militant killed 39 people in Istanbul on New Year’s Eve.